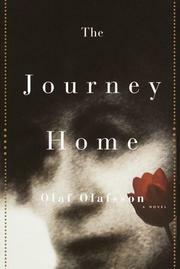 Native Icelandic author (and now an American executive at Time-Warner) Olafsson’s evocative second novel (following Absolution, 1994) records both a literal homeward return and a journey into the mind, heart, and memories of Asdis (“Disa”) Jonsdottir, an Icelandic woman long resident in England. Having learned that she’s dying of cancer, Disa revisits her birthplace, and also her several pasts: growing up in the 1920s–30s in a family marked by both estrangement and misfortune; working as a cook in the household of a compassionate physician whose son is an ardent Nazi supporter; and later managing a “country-house hotel” in England, losing her German Jewish lover (to Buchenwald), and struggling with an increasing emotional coldness that deepens her (undesired) resemblance to her unloving, judgmental mother. A striking character study, marred by a surfeit of rapid time shifts that keep us guessing “which” Disa appears on any given page, even as we grow increasingly absorbed in her several stories.